It’s with great pleasure that IL GLOBO presents the new layout of its local community pages, which was first published in today’s edition of the paper. The first installment of the new layout was published in today’s edition of IL GLOBO. While the overall content won’t change, the new design allows room for more articles and community notices and makes for easier reading. 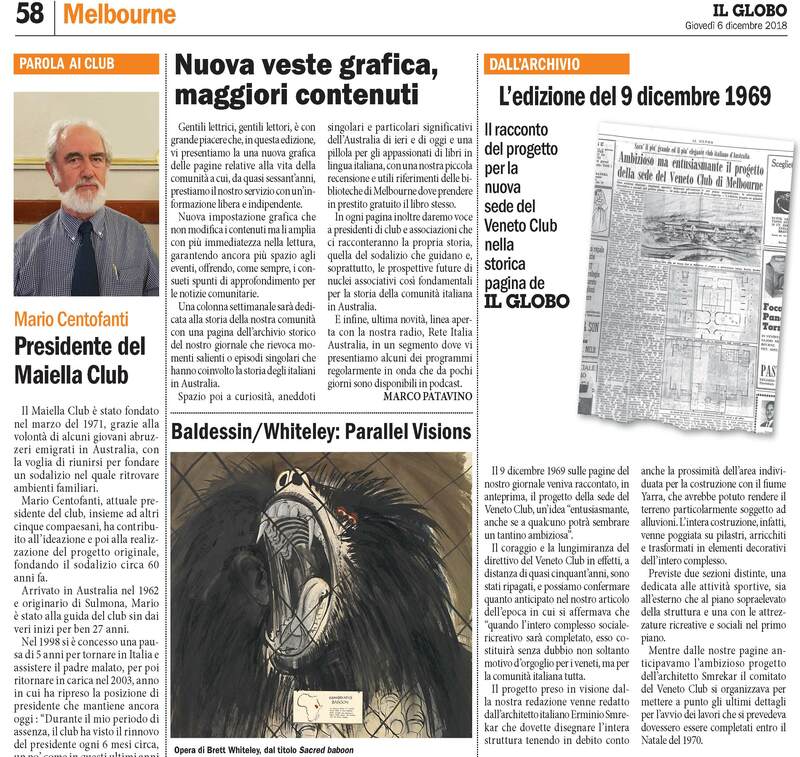 A weekly column will be dedicated to the history of the Italian community in Victoria, publishing a page from Il Globo’s archives which recounts an important chapter of that history. Each week, a major article from the corresponding page will be published in English on the Il Globo website. Check out the first article from the archives here. There will also be a box featuring a fun fact and one for lovers of Italian literature, offering reviews and information on libraries where you can borrow the book of the week for free. We will also give a new voice to presidents of local Italian clubs and associations, who will share with us their stories and future plans. The first president to feature in this new column is Mario Centofanti of the Maiella Club. Finally, there will be a space dedicated to Rete Italia Australia, with information on regular radio programs which will be available as podcasts in the near future.